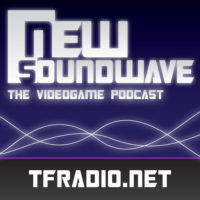 The guys talk talk about: Are Gaming Strategy Guides Still Relevant? Bye-bye Geocities Favorite Horror Movies News and more. The guys talk talk about: Venture Bros Blu-Ray coming to XBox 360? MOTU Classics Teela Nickelodeon to buy TMNT? Seriously? On a busy busy busy week, Brian, a swine flu infected JD Church, ExVee and Chris Triplette talk about: Comics for the week—Secre Origins Superman, Green Lantern 46, Batman the Fattening Gyro #2 Superman/Batman: Public Enemies PSP Go…..ahahahahahahahahahahahahah. Okay, sorry. Does anyone care about MMPR? Stargate Daniel Lipkowitz’s LEGO Book More!